Standard Chartered Bank has said that it will be growing the affluent clientele in Singapore and pumping more investment into digitalisation. This comes as its operating profit more than doubled last year, to the highest since 2014. StanChart Singapore chief executive Patrick Lee said in a press briefing that Singapore is a key driver of ASEAN and Southeast Asia’s growth, and second largest contributor to the Group’s income and profit. Moving forward, Lee said that the strategies for Singapore are to build on client momentum, optimise expenses and drive sustainable revenue growth through diversification, while maintaining discipline in risk management and costs. On the digital front, StanChart had also recently pilot the use of blockchain and next generation payment technology to enhance efficiency, security and improve client experience. Other digital initiatives it participated include MyInfo, PayNow and PayNow Corporate. 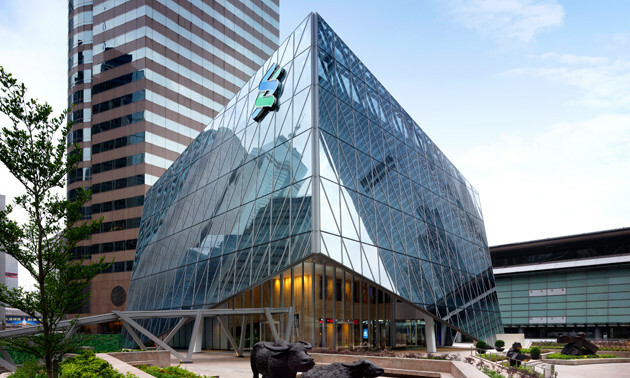 StanChart reported a 15% income growth for its commercial banking arm, 11% for its retail banking business, and 6% for its corporate and institutional banking services in 2018. Earnings from its private banking arm, however, dropped 4%. Additionally, after increasing its return on equity from just over 2% in 2017 to 6.1%, the bank will be aiming for a double-digit growth globally. The metric measures how effectively company’s assets are used to generate profits. This comes on the back of StanChart’s group CEO Bill Winters’ decision last month to restructure operations in various markets and cut US$700 million in costs over three years. While there is not a specific figure or allocation for Singapore yet, Lee said that the move will include streamlining operational processes, redeploying full-time employees to reduce concentration in “big-cost hub locations”, and a global third-party vendor review. Over the past few years, the bank has been trying to regain investors’ confidence as it cleans up bad debt left by predecessors who poorly managed its expansion. Last June, the bank said that it will be consolidating its Asia operations to two new hubs in Singapore and Hong Kong, in a bid to simplify its extensive network and cut costs. AirAsia (China) is the airline's latest partnership in its series of strategic collaborations with Chinese companies that include .. Does the unfortunate mistake raise questions on Malaysia’s ability to smoothly organise a global event? ..